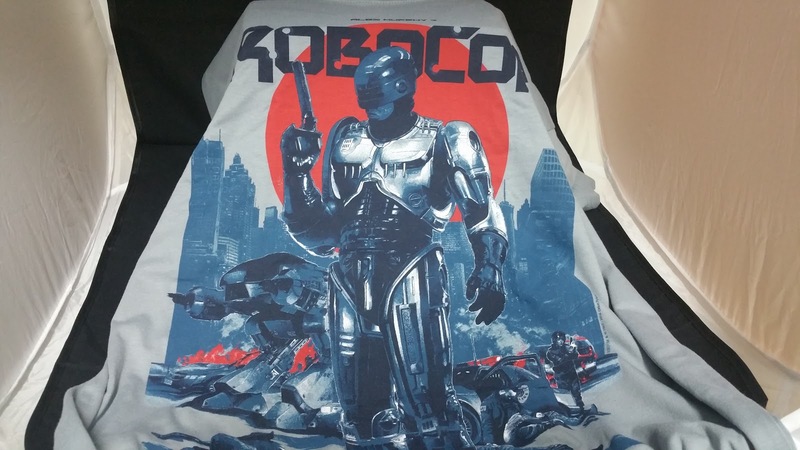 This RoboCop shirt is really cool. This Grey Matter print came out as a poster and I’m glad Loot Crate put it on a shirt. The poster depicts the original RoboCop film in all it’s 80’s glory. This Dorbs power armor figure is cool but I wish it was an exclusive. 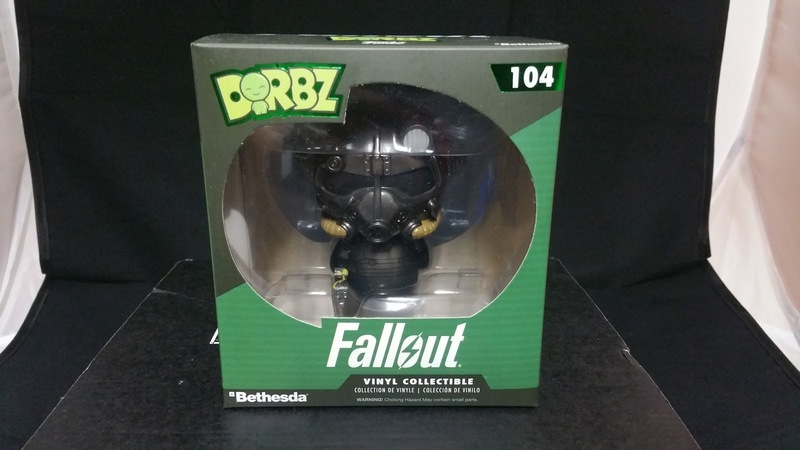 The figure will go great next to my Vault Boy bobble head. 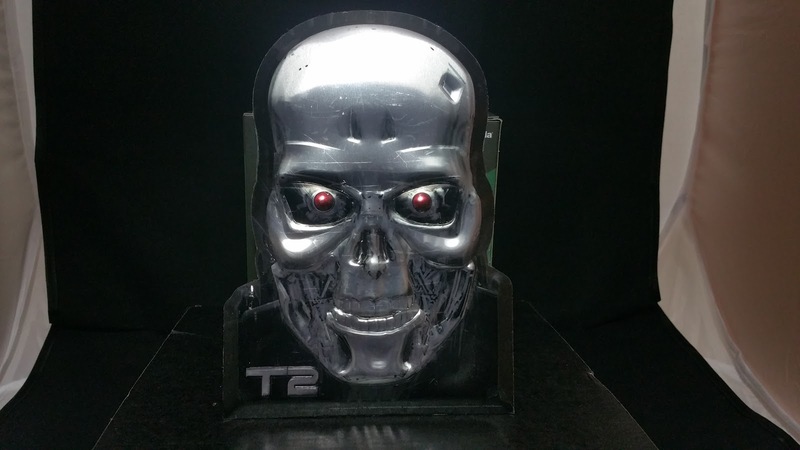 The Terminator 2 metal print is a new item for Loot Crate. I think this is a first time an item of this type has been included in a box. I hope I can incorporate this sign into a nerd room. If the print looks a little weird, it’s from the plastic film. 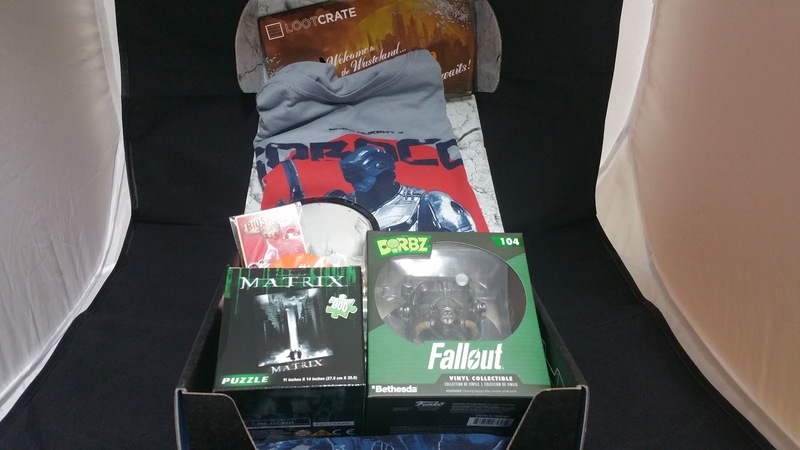 This is one of my favorite items this month and it’s also a Loot Crate exclusive. 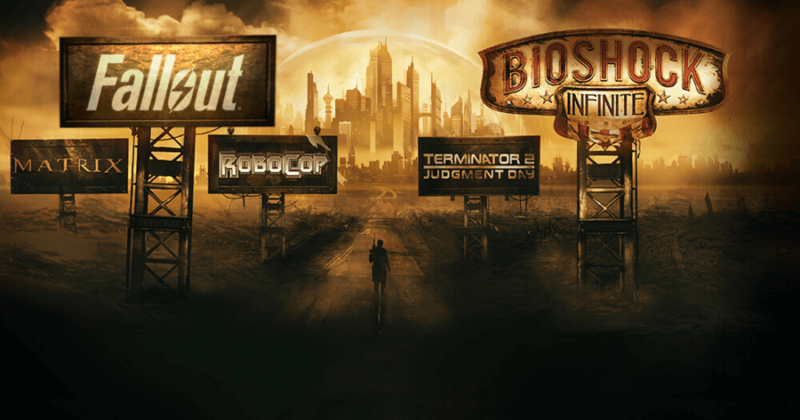 I haven’t played Bioshock Infinite but I have played a few of the older games. 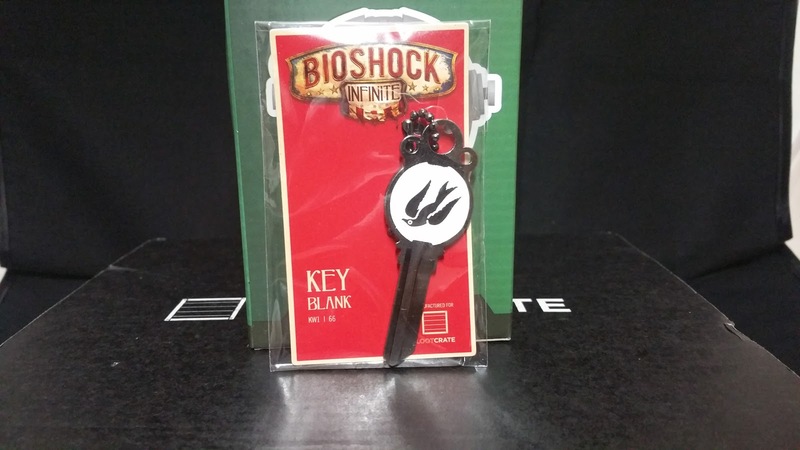 The key is a cool idea but it may only work for US locks since UK/Europe use a different key blank. It could be a cool key chain too. Like the Rick and Morty puzzle from a previous box, I’ll probably give this to my little brother. I’m not a huge puzzle person so this is a miss for me. This pin was inspired by the nukes from Fallout. I actually like this pin since it’s not Loot Crate branded. 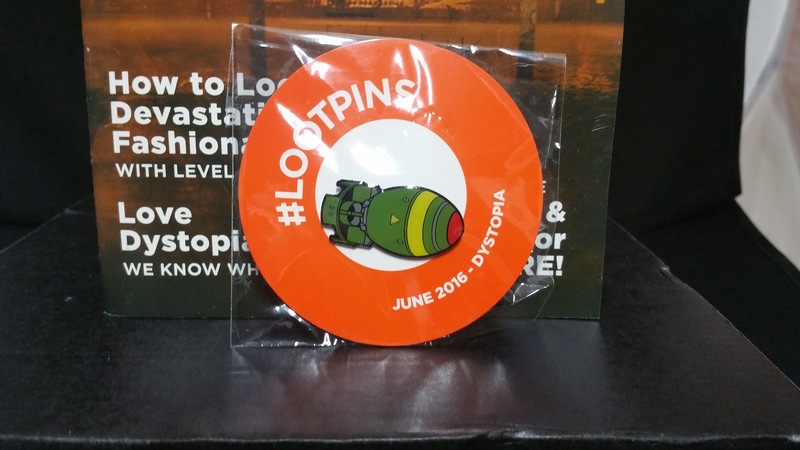 The pins come with exclusive wallpaper and ringtones from the mobile app Fallout Shelter. 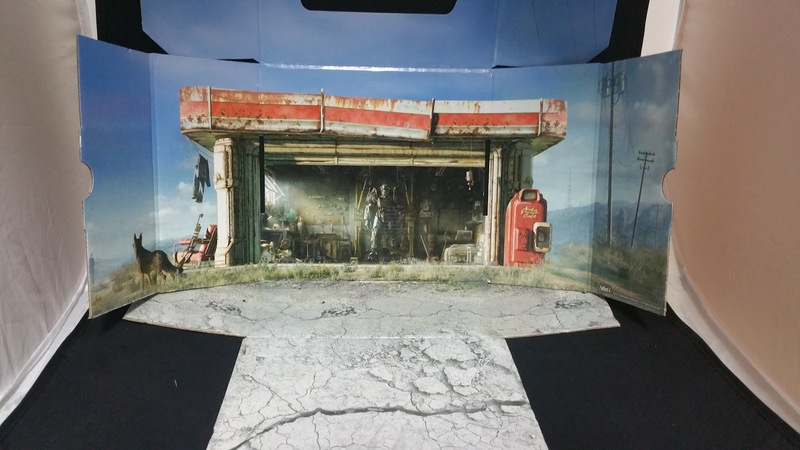 This box opens up to the opening screen from Fallout 4. You can use it as a display for you Drobz figure. The RoboCop shirt, Dorbz figure and key blank were the favorites this month. 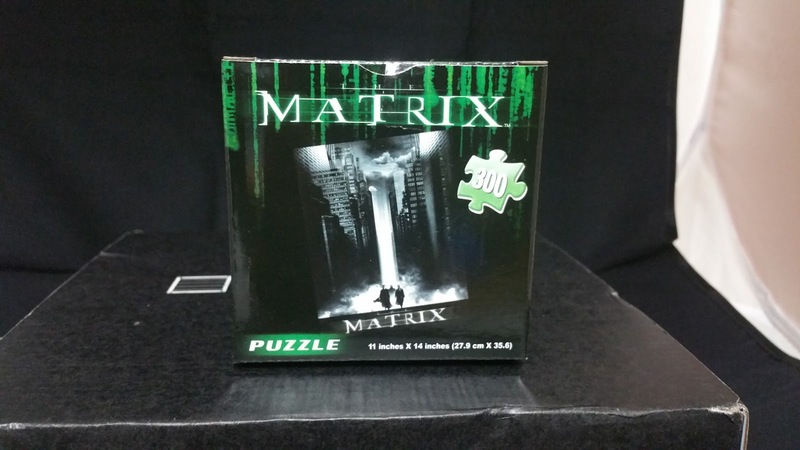 The metal print is alright and the matrix puzzle was a miss. This box was not as good as last month but it’s not bad either. I can’t wait for next month’s theme.